For most of us, the process of trying to put together a Fortnite squad is usually a pretty painful process. Between greedy teammates, kids screeching over voice chat, and that guy who insists on dropping for Tilted Towers by himself even though the rest of you are heading to Tomato Town, you’re probably just better off playing solos. If you’re international esports organisation Fnatic, however, you can afford a much better selection process. Rather than relying on the whims of Epic’s matchmaking, the company will hold open tryouts for their burgeoning Fortnite team at E3 over the weekend. Sadly, Fnatic aren’t hiring teams for them all, but still – check out our list of the best multiplayer games. Fnatic does already have one player lined up. Team captain Ettnix will be overseeing the tryouts and searching for new players at the booth of Fnatic sponsor DXRacer. That means there are theoretically three slots up for grabs on the team, although given the limited number of players who’ll be turning up to E3 as a proportion of the 40-million strong Fortnite player count, it’s fair to say that Fnatic might hedge their bets on being able to find players elsewhere as well. 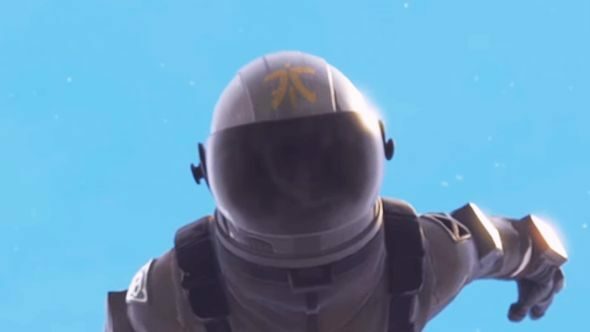 In a press release, Fnatic co-owner Patrick ‘cArn’ Sättermon said that “Epic’s recent announcement regarding the competitive side of Fortnite is something we as a team are incredibly excited about.” Not to be too cynical, but that’s probably in reference to Epic’s announcement that they’re putting $100,000,000 aside for Fortnite esports over the next few years. If you don’t make it onto the Fnatic team, all is not lost, as you can still earn goodies by proving yourself. Getting a decent number of kills in your game will net you Fnatic swag, while there’ll be an extra reward for the best player during each day of the conference.